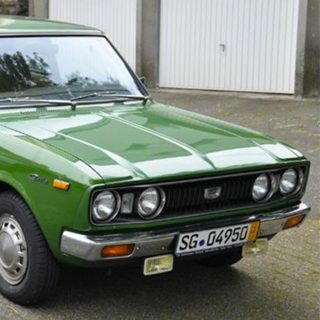 Journal: Which Seventies Japanese Hot Box Would You Restore? 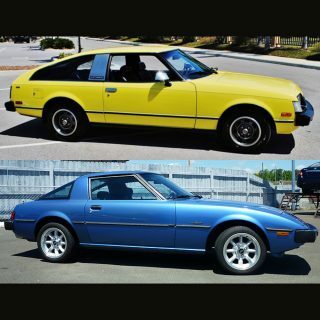 Which Seventies Japanese Hot Box Would You Restore? 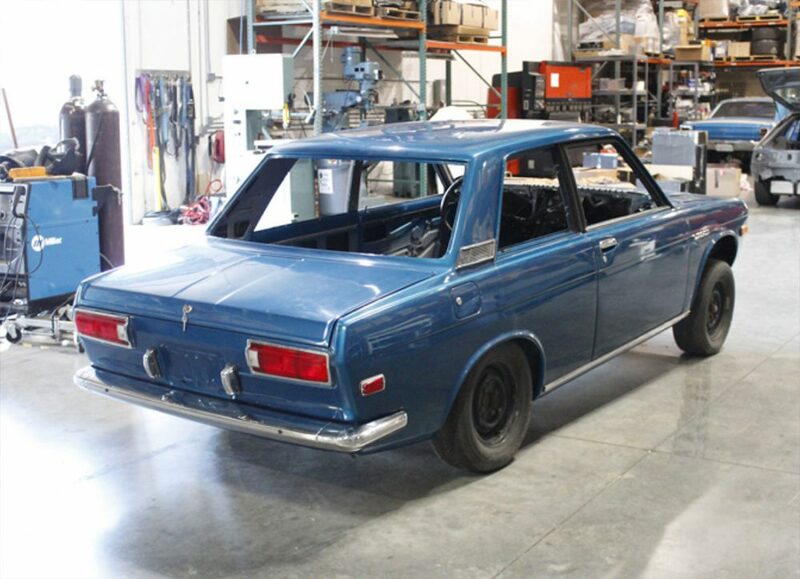 Datsun’s 510 is a known quantity among most classic enthusiasts, its reputation for being a “poor man’s BMW 2002” aided by its many period racing victories and ad campaign that was quick to capitalize on them. Mazda’s contemporary rotary-powered sedans, wagons, and coupes, however, often seem to escape similar popular attention, perhaps because there are simply a lot less of them left today. This week in “Which Would You Restore?,” one of each vies for your hard-earned cash as well as your blood, sweat, and tears. 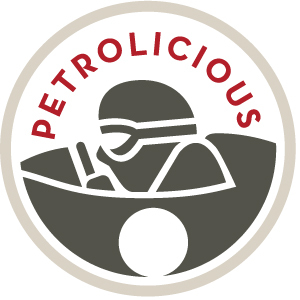 In a developing theme, we’ll highlight the “easier” of the two potential projects first. 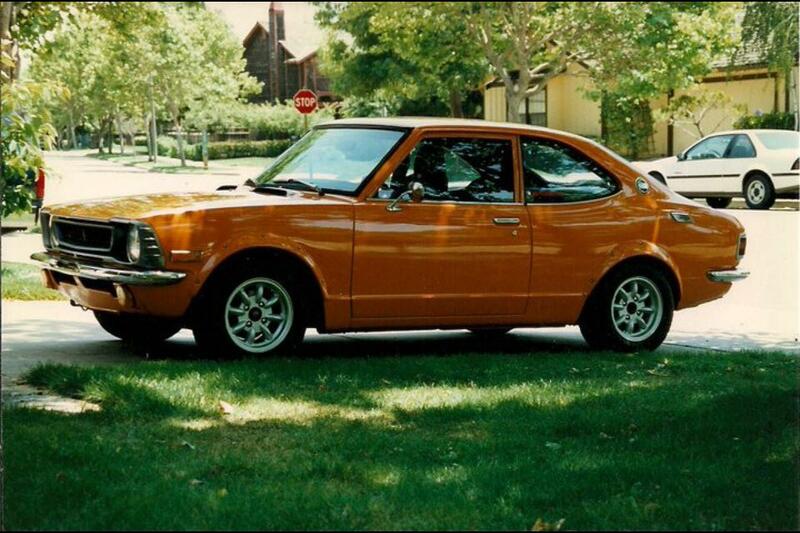 A 1970 model, this 510 is claimed to be rust free with decent paint, though no claims are made for its originality. We quite like the unusual bluish-grayish-tealish color, though, and it would look excellent over simple black vinyl—which you’ll have to source and install yourself as there isn’t much interior to speak of. Sold sans engine and gearbox, it nonetheless includes all glass and window gaskets, as well as a lot of other assorted and hard-to-find parts. Suspension is said to be all-new. An original wiring harness is included, too. 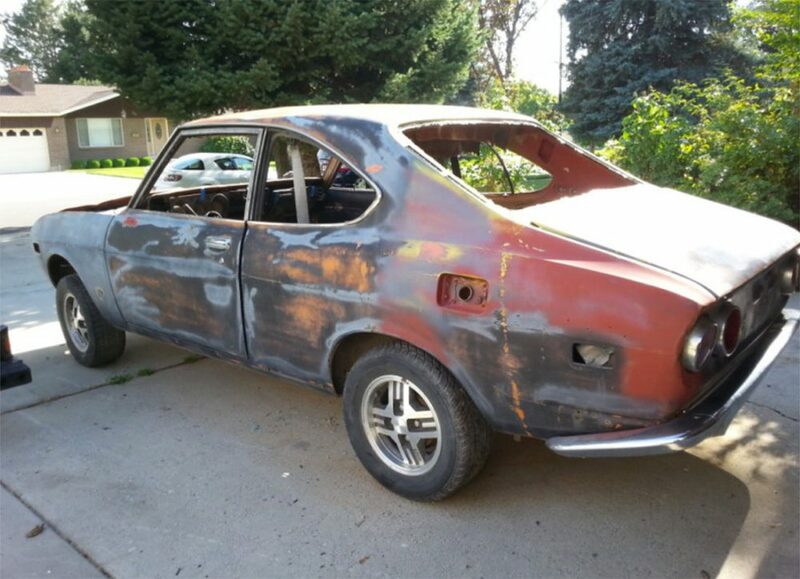 Overall this old Datto seems to already be roughly half-finished, which bodes well for the overall affordability of finishing the job. Lots of parts and a rust-free shell also make things a lot more palatable, as does the fact that those that aren’t included are a lot more readily available than they will be with the scarcer Mazda. 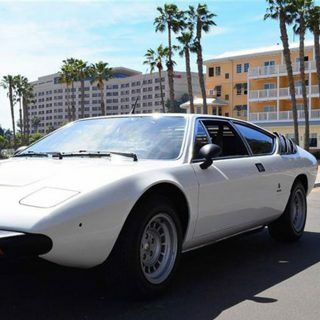 With pristine examples catching high four figures, or perhaps a touch more for those with wild (but well-executed) swaps, a starting bid of $5k and six days left of bidding, it may be years before this car could qualify as a good financial investment, but as an investment in fun it scores big-time. 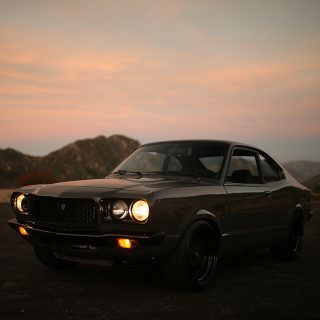 And now on to the problem child—a ’73 Mazda RX-2 coupe. Said to be substantially rust-free, it does look to be pretty solid in photos, though the trunk will need some metal work. Sold with no glass, engine, and missing a lot of trim, it does come with a largely complete dash and door cards, though. Sold with an RX-7 5-speed of unknown condition, this car looks ripe for a bridgeported 13B on dual carbs—after you spend a few years and several mortgage payments hunting and buying all the missing parts, of course. With bidding at just over $200 and reserve not met with two days left to bid, we’re not sure what this one will (or won’t) sell for. Even provided it proves a bargain and can be had for under a grand, and that you’d be able to source the many missing and nearly unobtanium parts inexpensively, there’s still little room for a profit in this car over the short-term. Though good examples routinely sell for a solid $15k and up, this one will need a ton of work to fall into that category. They are quite rare, though, and there’s a borderline-fanatical following for these old Wankels, so provided you wouldn’t object to driving it for a few years (who would?! ), it could be justified from a money standpoint. 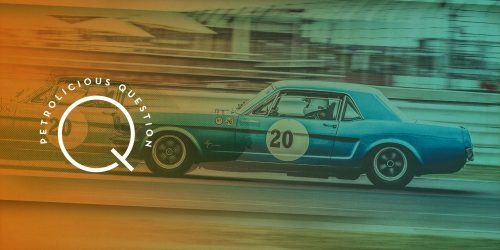 As the old Mazda commercials said “the piston engine goes ‘boing, boing, boing’—but the Mazda engine goes ‘hmmmmmm…’” Which vibe suits you? 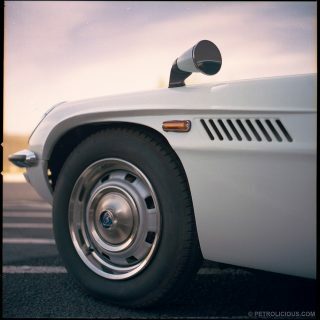 Journal What’s It Like To Own A Fast, Vintage Mazda Rotary? 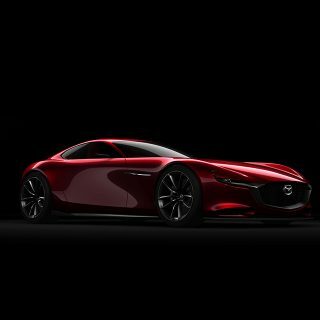 Journal What Do You Think Of The Mazda RX-Vision? 510. I like the RX3, RX2 is nice but the 510 more practical. The masochist in me wants the RX-2. I do so love Rotaries. However, the 510 would win this one. It simply would be too easy. 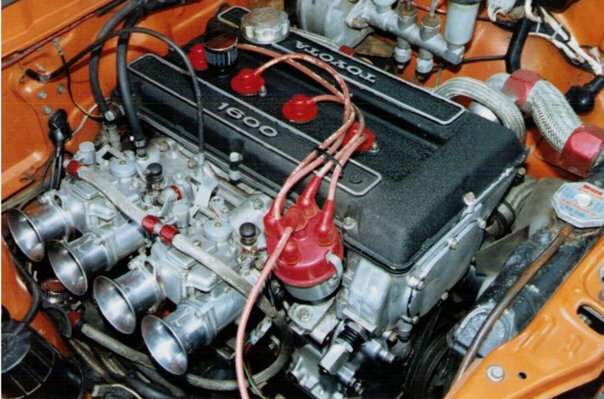 Drop something fun under the hood (SR20DET?) and the relevant drivetrain parts, and you’re done. Without a doubt, the rx2. 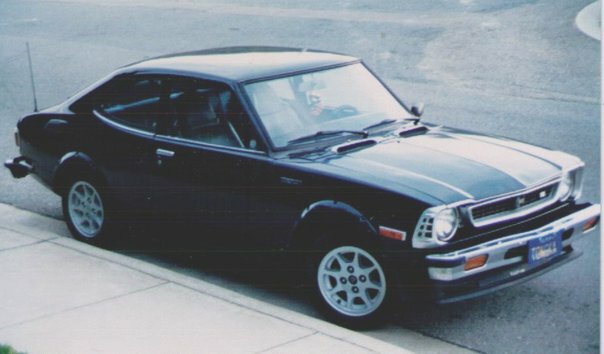 I would do a first generation Toyota Celica, with that swoopy coupe body and cool quad headlights.